At Ultimate Automotive, Truck & Equipment, our mission is to exceed our client’s expectations every day. We have been providing the highest level of auto service in Cromwell, CT since 1990! Our automotive services include: auto repair, truck repair, truck services, auto maintenance services and equipment repair services in Cromwell and the surrounding Middlesex County area. Our mechanics are highly experienced, ASE Certified Technicians who have more than 150 years of combined auto repair experience. They also attend a regular training program to stay up-to-date on all the current automotive technology for today’s vehicles. In order to provide our customers with the best auto repair in Cromwell, we are very proud to back our auto services with a 24 month/24,000 mile nationwide warranty on all parts and labor, (unless otherwise noted on your invoice). As a client of Ultimate Automotive, Truck & Equipment, some parts may even carry a more extensive warranty! Our auto repair shop is equipped with state-of-the-art equipment and web-based technical information systems that provide us with manufacturer specific auto repair information, recalls and service bulletins, as well as up-to-date car repair and truck repair procedures and specifications for your foreign or domestic car or truck. We know the necessity of having the proper tools, equipment and information to take care of your high-tech vehicles. Our equipment is the finest and most technologically advanced available, and our information systems are the most comprehensive anywhere. You will appreciate the time it saves to repair, service and maintain your vehicle properly and efficiently! Greg grew up in Wethersfield where he graduated high school and went on to tech school with the mission to become the best technician around! Greg graduated from Technical Careers Institute and began working full time for Axelrod Tire as a technician. 6 months after graduation Greg was promoted to Service Manager in the Rocky Hill store and soon discovered he loved working with clients even more than cars! 2 years later was promoted to store manager. In 1990 Greg started Ultimate Automotive, Truck & Equipment in Cromwell on West Street. In 2007 he moved Ultimate Automotive, Truck & Equipment to its current Main Street location. 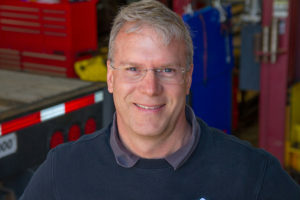 In 2008 Greg purchased Auto Truck and Equipment and began to service truck and fleet clients along with our auto clients. “We now work on everything from Kias to Kenworths”. Greg Still loves to work with all our clients! Greg has been married to Beth since 1988 and they have 2 great Kids, Jaclyn and Trevor. Good luck getting hold of Greg during nice warm weather! He’s most likely “maxin’ and relaxin” on his boat with the family. Tina has been working for Ultimate for over 8 years. She 1st joined the team back in the 90’s after her 1st daughter started school. She left for several years to have and raise her 2 younger daughters and came back once they started school. 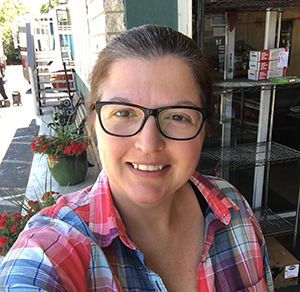 Tina lives in Haddam with her 3 awesome daughters. In Tina’s off time she enjoys coaching basketball and softball and spending time with her family. Tina was recently blessed with her 1st grandson who she absolutely loves to talk about. 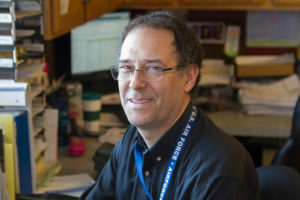 Steve has been working in the automotive industry since 1984. Within two years he earned an ASE Master Automobile Technician certification. Steve also holds Advanced Level Performance, Service Consultant and Accredited Automotive Manager Certifications. Steve has been working for Ultimate Automotive, Truck & Equipment since 2005. When Steve is not at work he mentors a FIRST robotics team, NRG4055 based out of Northwestern High School. Steve lives in Barkhamsted with his wife, Fran, children Eli and Skylar, and dogs Hippity and Oreo. Dex Grew up in North Branford CT and from an early age loved big trucks, especially Mack’s! Dex started working on trucks when he was 14 working with his Dad at DJ King’s in New Haven. He has had many years of experience working on trucks and trailers. Dex has and continues to love his job working on the “Big” stuff! Dex is married to his wife Chery and they have 3 great kids! Dennis Jr., Stephanie and Jeremy. Dex shares his love of trucks with Jeremy who just graduated from UTI with a degree in Auto and Truck service! Guess who is now part of the Ultimate Automotive, Truck & Equipment Team? In his free time, Dex enjoys camping with his family, working around the house and stock car racing. Jeremy Grew up in East Haven Ct. Graduated high school where he took some carpentry and automotive classes were he discovered his passion for cars. Jeremy’s Dad, Dex, shared his passion for trucks with him. Jeremy decided he wanted it all and went to Universal Technical Institute for Automotive AND Diesel and Industrial Technology. 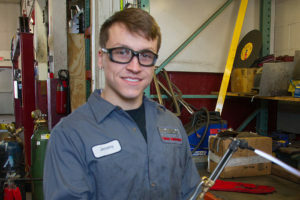 Jeremy Started working at Ultimate Automotive, Truck & Equipment as an intern the summer between High school and U.T.I. and 18 months later Jeremy joined the Ultimate Automotive, Truck & Equipment Team and his Dad, Dex to begin his career. In Jeremy’s free time he enjoys collecting tools, working on his pick up and perfecting his Guitar skills! Jeremy is an accomplished, VERY talented musician! He and his band “Infinity Project” have recorded there 1st CD “Brace for Impact” and they can be found around New England performing some Awesome music! 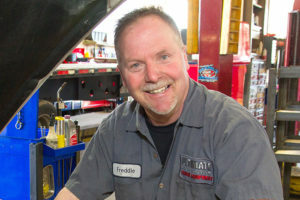 Fred has worked for Greg and Ultimate Automotive, Truck & Equipment for many years. Fred started his career working for Greg at Axelrod Tire in Rocky Hill over 28 years ago. 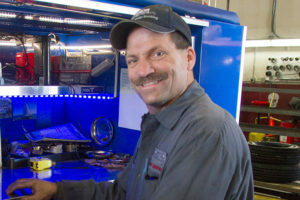 When Greg Started Ultimate Automotive, Truck & Equipment Fred was a key employee. Fred left Ultimate Automotive, Truck & Equipment and worked for Manchester Honda for almost 17 years before “coming home” to Ultimate Automotive, Truck & Equipment in 2015. Fred is happiest taking care of client’s cars where he takes great pride in his work and satisfying clients. In Fred’s off time he enjoys riding his Harley on charity drives in state or riding dirt bikes through the woods with his oldest son Raymond. Fred has 2 boys, Raymond and Tyler. Fred also enjoys working on a recently acquired a 1980 Datsun 200SX which he is restoring. 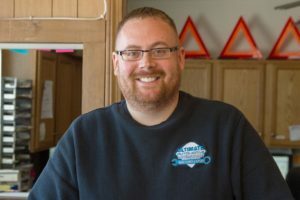 Phil’s early career included doing data entry, website design, CNC machine operation, Sun Microsystem hardware integration, service manager for a vacuum plumbing company, and finally found his place as a service advisor here at Ultimate Automotive, Truck & Equipment in 2009. Phil is now our General Manager over seeing operations and leading our team of 10! Can you imagine? Phil has never missed a day of work since starting in August of 2009, that is dedication! Thank you Phil. In Phil’s free time he collects and races cars. Ask Phil how fast his little Honda Civic is. During the warmer months you’ll find Phil at the race track with his car or with all his buddies. At Ultimate Automotive, Truck & Equipment we are truly here to serve you. Next time you need auto maintenance, truck service, equipment service or auto repair in Cromwell, CT, please give us a call at (860) 635-4133, or easily schedule your appointment online, and our friendly automotive team will be happy to help!